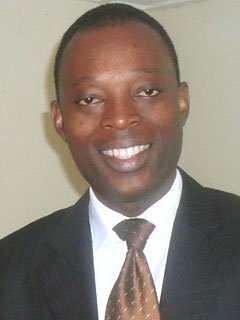 Emmanuel is an Associate Professor in the Department of Chemical Sciences in the College of Natural Sciences at Redeemers University in Nigeria and also the head of the Environmental and Chemical Processes Research Group in the University. His research is focused on the preparation and characterization of functional composite materials from local materials and agrowastes with the aim of treating water. He has won several international awards and including the TWAS-ROSSA Young Scientist Award, and SCOPE–Zhongyu Young Scientist Environmental Award, 2012 (Environmental Technological Innovations category), African Union-TWAS Young Scientist Award in Basic Sciences, Technology and Innovation and Alexander von Humboldt (AvH) Postdoctoral fellowship. He is a currently a Fellow of the African Science Leadership Program (ASLP).